Size of this preview: 800 × 559 pixels. Other resolutions: 320 × 224 pixels | 902 × 630 pixels. 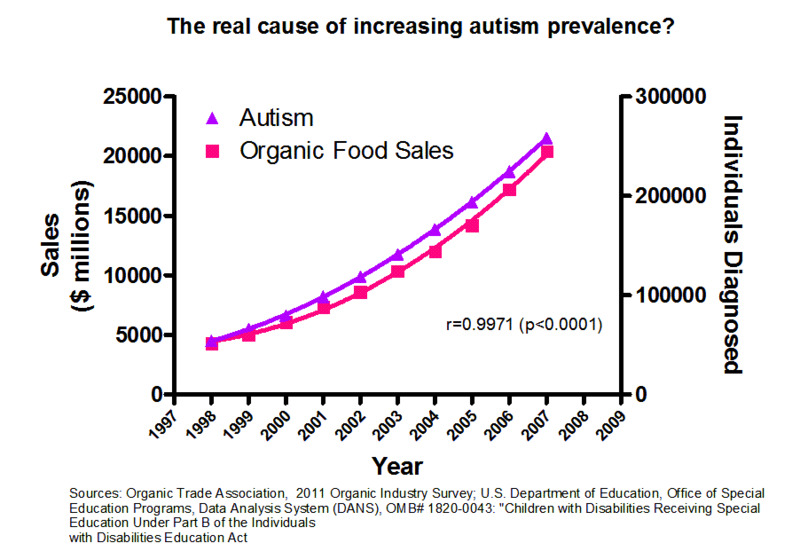 A humorous example of Correlation does not imply causation: A graph of autism diagnosis prevalence over time compared with a graph of organic food sales over time, implying that autism is caused by organic food. A free alternative may not exist now, but in the event of a free alternative being located for the article "Correlation does not imply causation" in the future, this file should be deleted as soon as possible. This page was last modified on 30 October 2015, at 04:00.